CDP-1 | Pressure Calibration Device - AT2E - USA | Quality control apparatus for packaging and beverage, food, pharmaceutical, cosmetic and other industries. 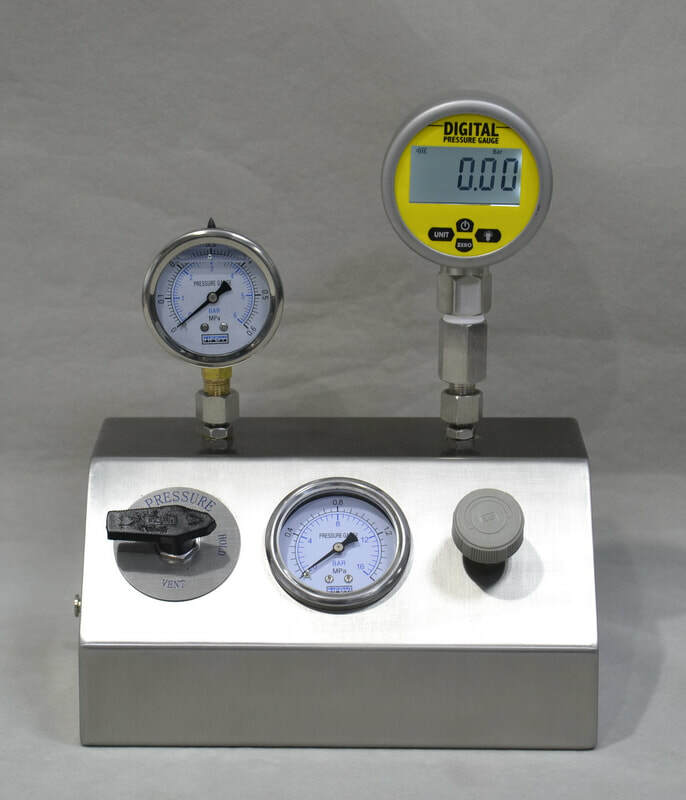 CDP-1 is a device for calibrating the pressure indicator. It allows operator to carry out a visual comparison between the calibrated indicator and the certified one. It is available for analog and digital indicator with different screw thread.